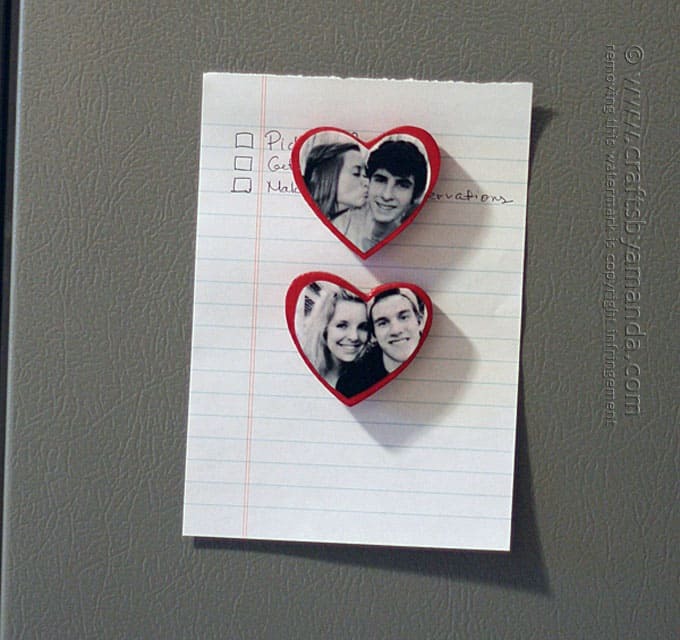 Here’s a fun photo magnet project you can make for Valentine’s Day to give to your sweetie. 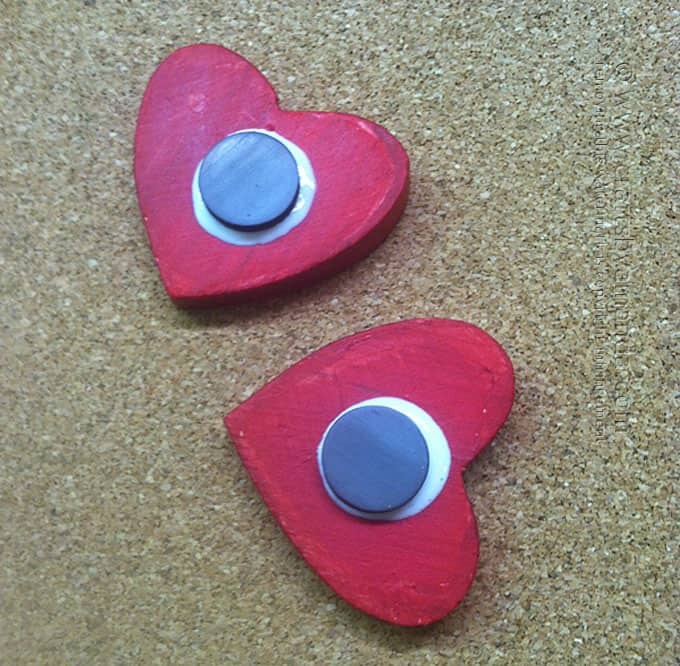 These heart shaped magnets are perfect for showing your love all year long. 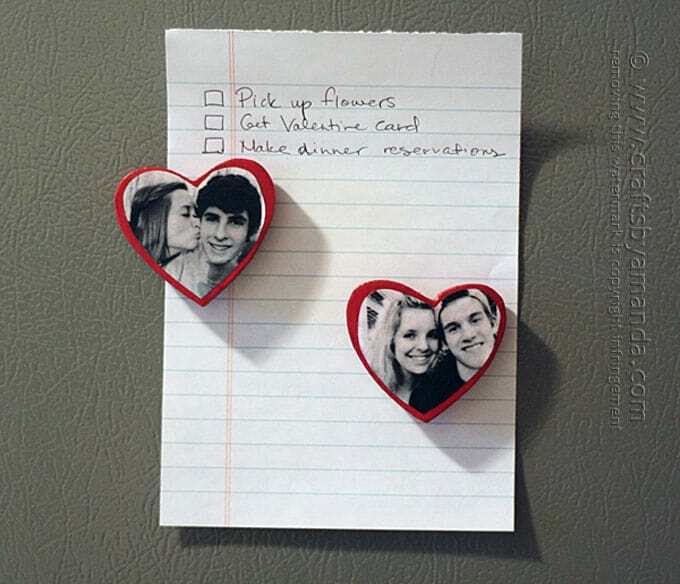 Wouldn’t these make an adorable little engagement or wedding gift too? 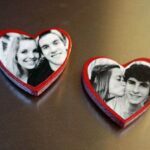 They are also a perfect project for young couples in love. 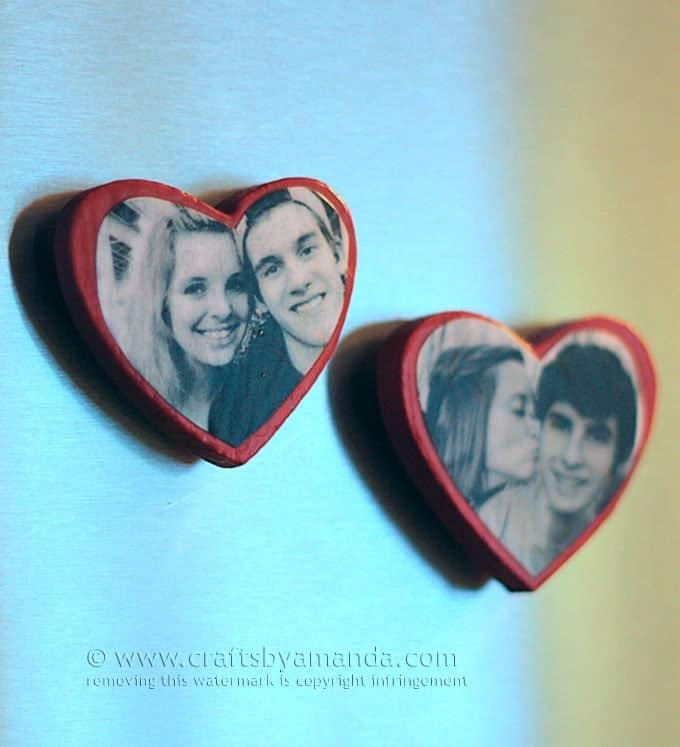 To make these heart shaped magnets, I used some acrylic sealer spray to prep the photos I printed out, and decoupage medium to attach them. 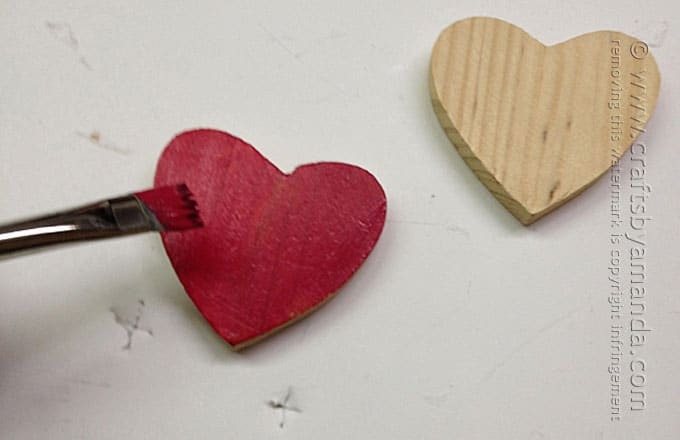 The paint color for the hearts is Americana Burgundy Wine. 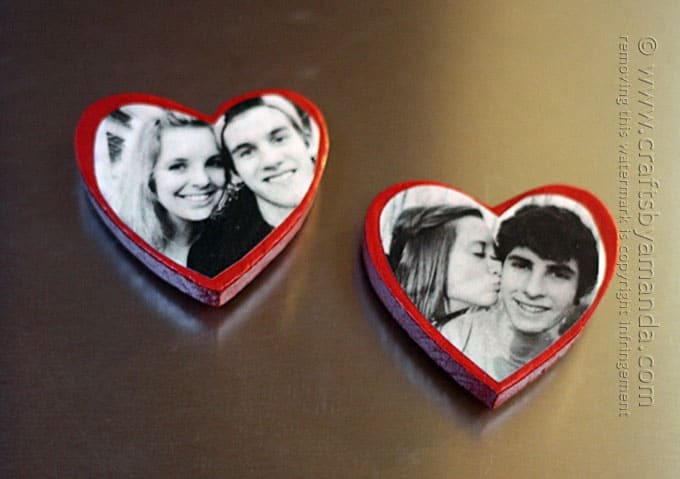 These are fun housewarming gifts too, or make one for your best friend. They are easy to make and are so cute! When you’re done, check out these heart projectgs (20 of them!) over at Tatertots and Jello. 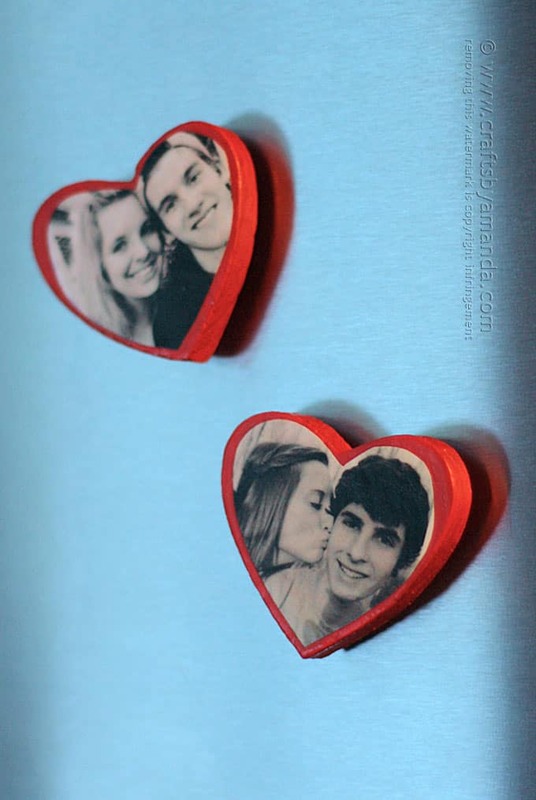 Before you do anything else, print out your photos and adjust them to fit on your wooden hearts. Place the heart over the photo and trace the heart shape. 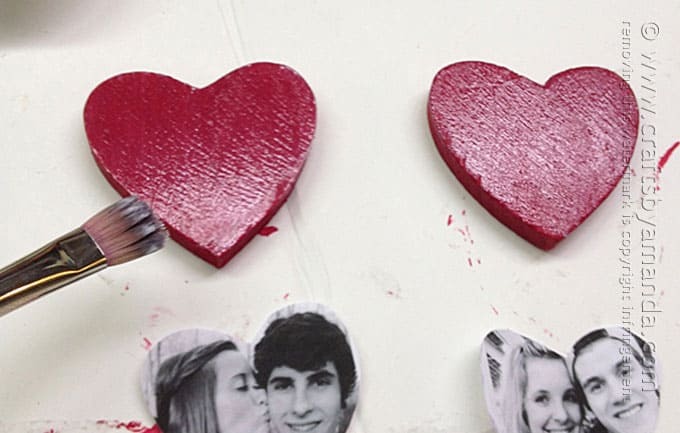 Now you can paint the hearts with Burgundy Wine and set them aside to dry. 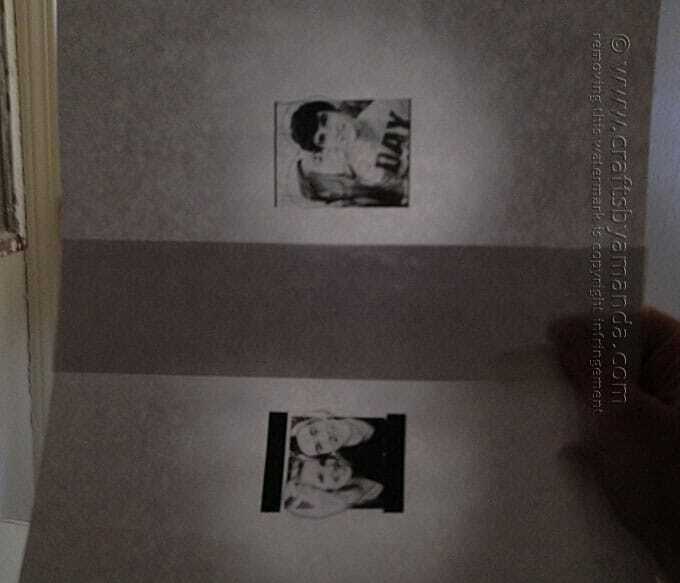 Meanwhile, spray the front AND back of the photos. You can see I didn’t bother spraying the entire sheet, just the area with the photos. Let the sealer dry for about 15-20 minutes. 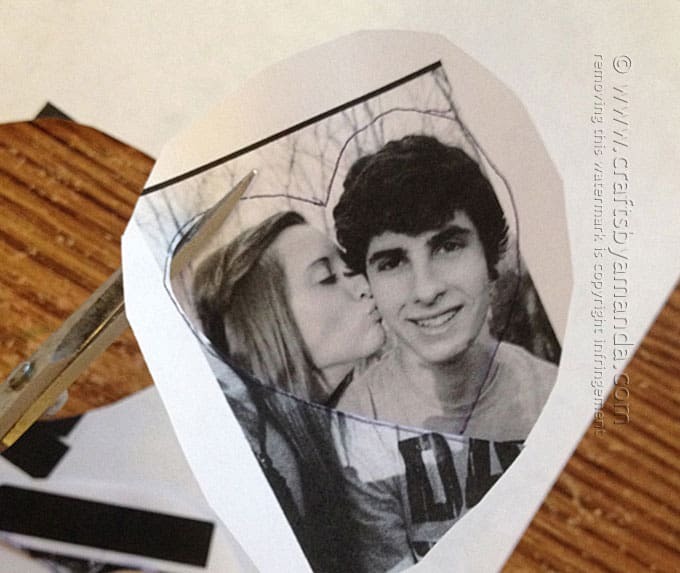 Using sharp scissors so you get a clean cut, cut out the heart shape, cutting inside your tracing lines. 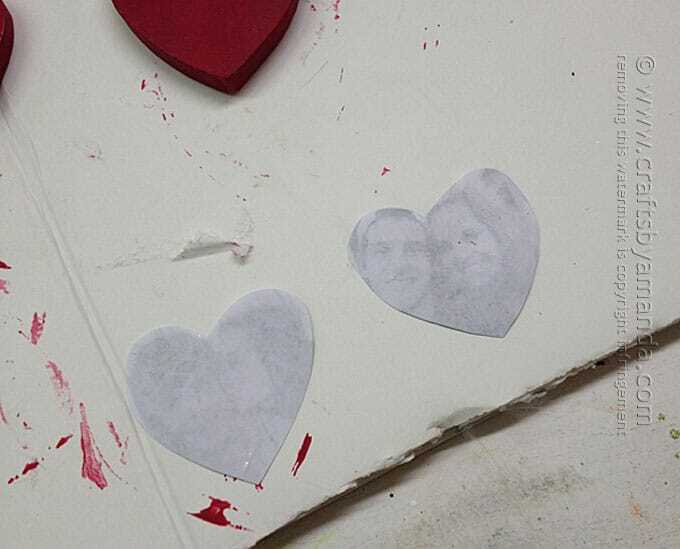 You may need to trim the photos more to fit on the wooden hearts. 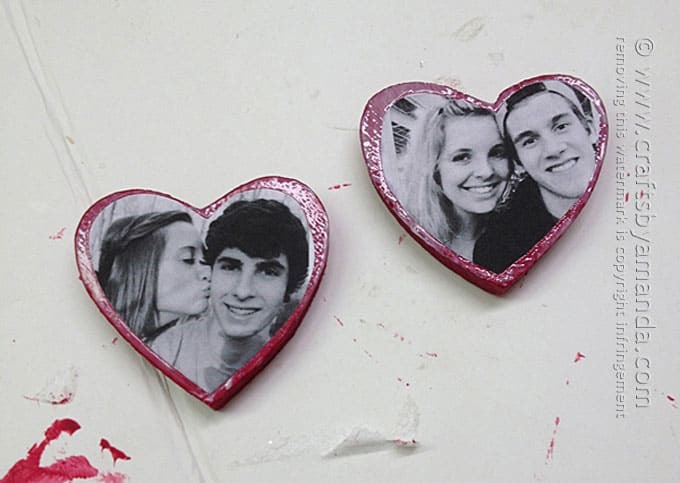 Paint a thin layer of decoupage medium onto the red hearts. Just carefully flatten them out and let the decoupage medium dry, it will only take about a minute. What you’ve done is prepped your paper and your surface which will help avoid bubbles and wrinkles. 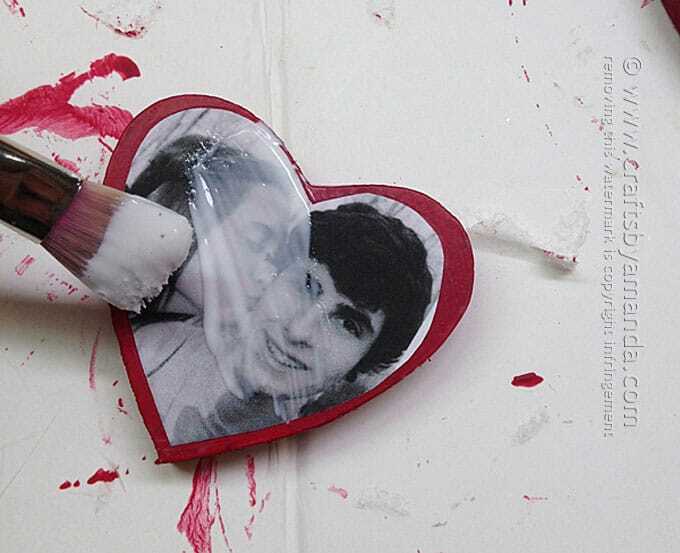 Paint more decoupage medium onto the heart and place the photo on top of it. 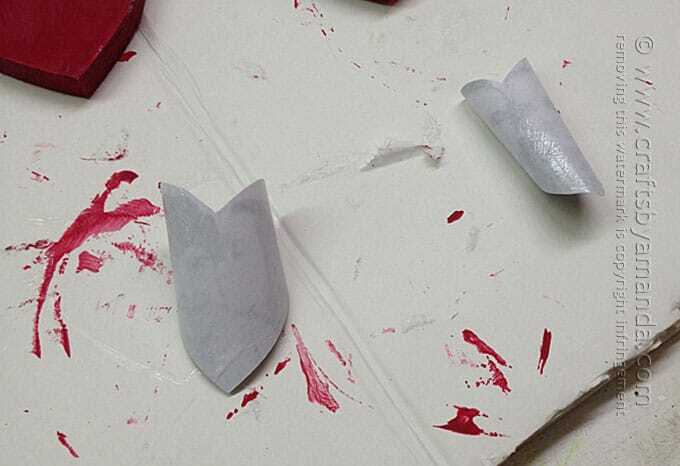 You’ll have a few seconds to get them positioned before the decoupage medium begins to dry. Be sure to smooth the photos out and make sure there’s no air underneath. Paint a generous, but not dripping layer of decoupage medium over the photo and all the edges. Let the decoupage medium dry, it will dry clear. 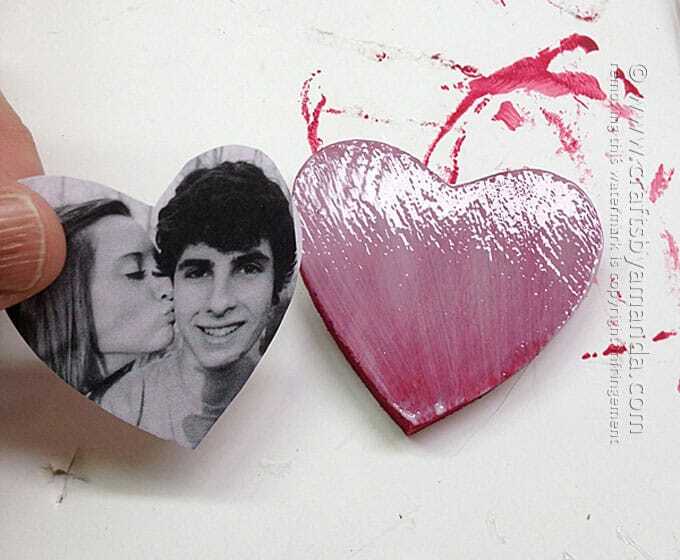 When dry, turn the hearts over and attach a magnet using a “dollop” of decoupage medium. Let the magnets dry before using. Check out the Valentine section here!